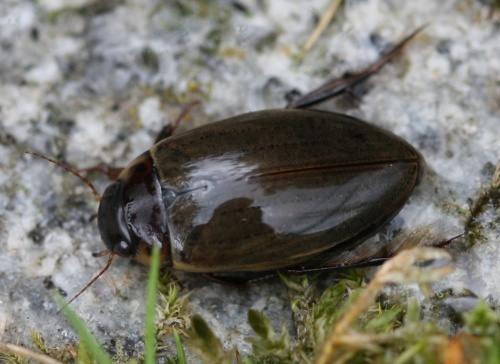 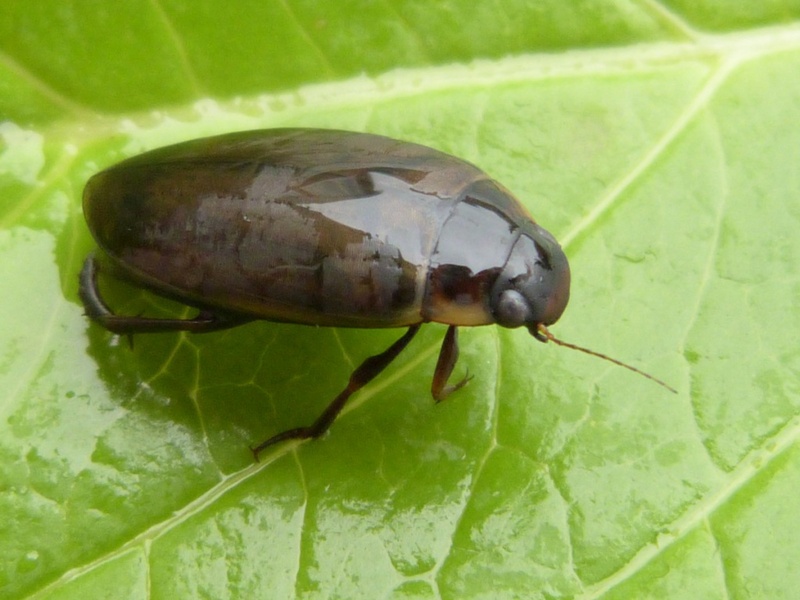 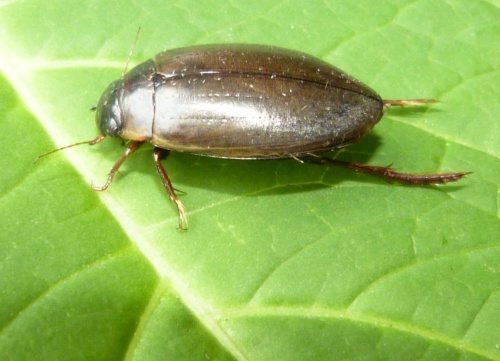 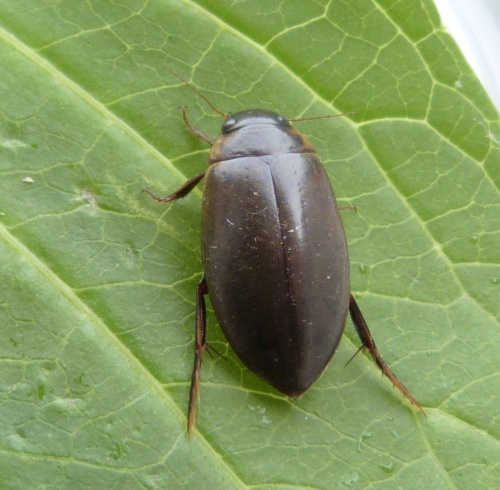 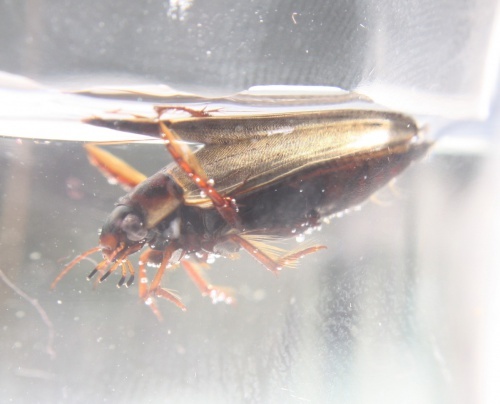 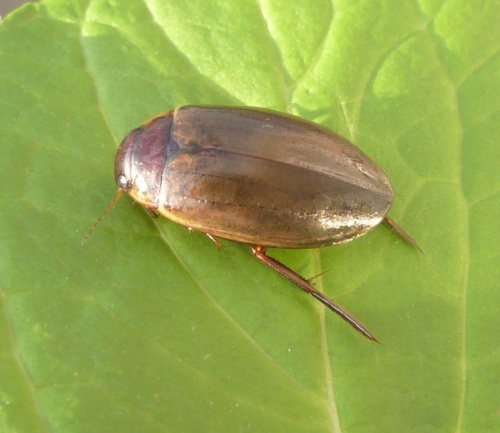 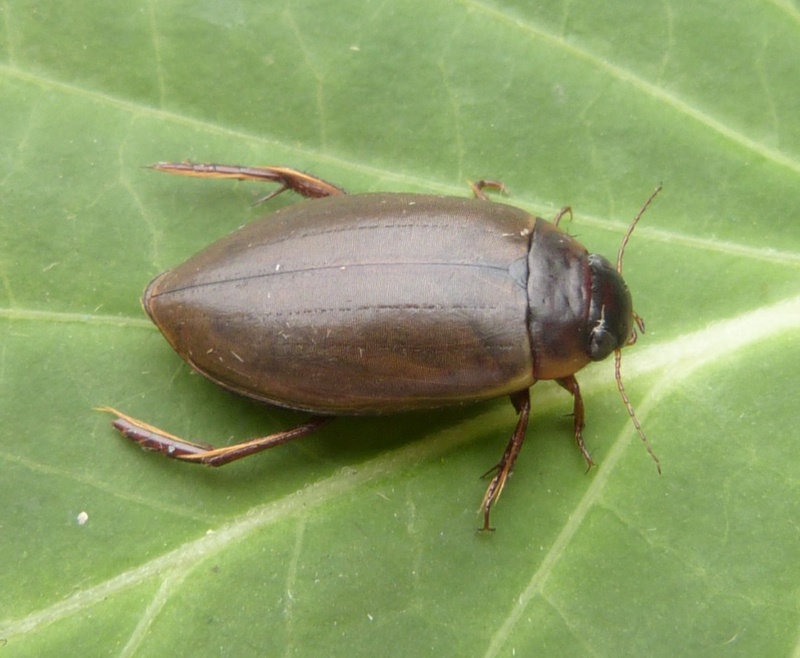 A large diving beetle (length around 19 mm). 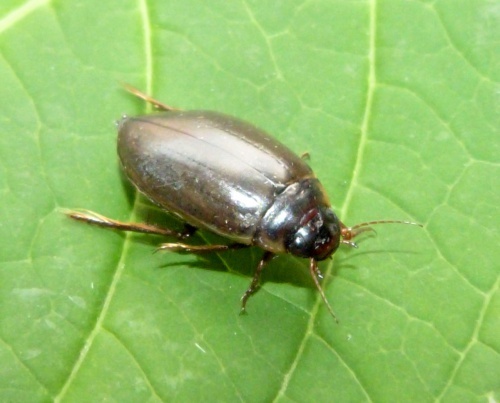 Although this may look a dark species, the elytra are light straw brown and on close inspection have a network of black, transverse grooves. 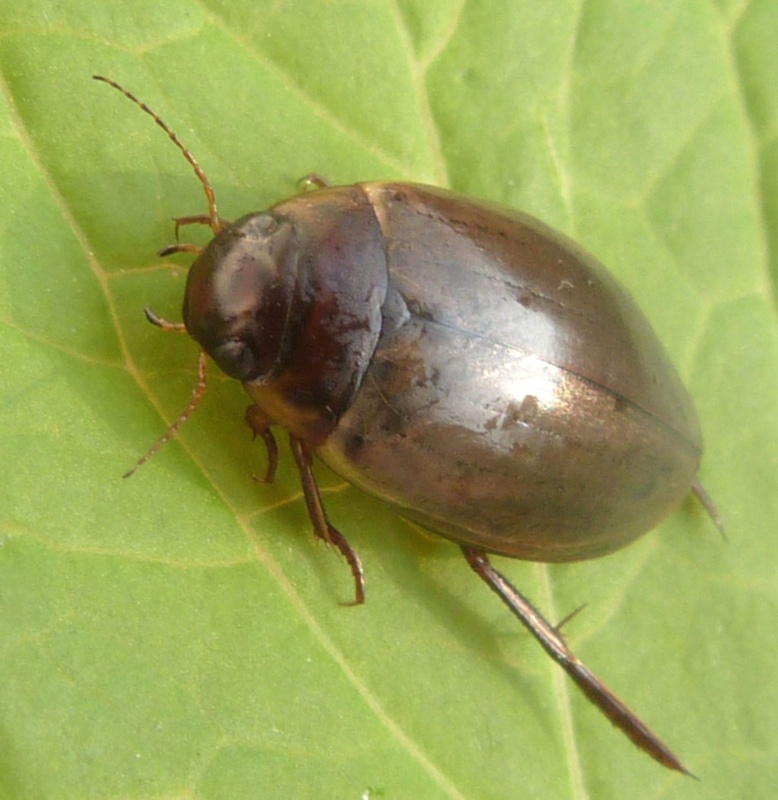 The beetle is darker brown underneath. 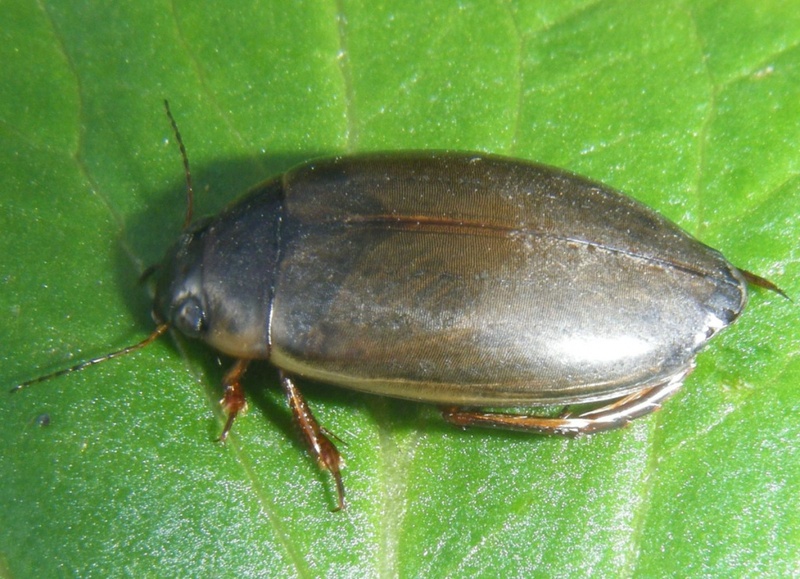 The head and neck shield are also brown. 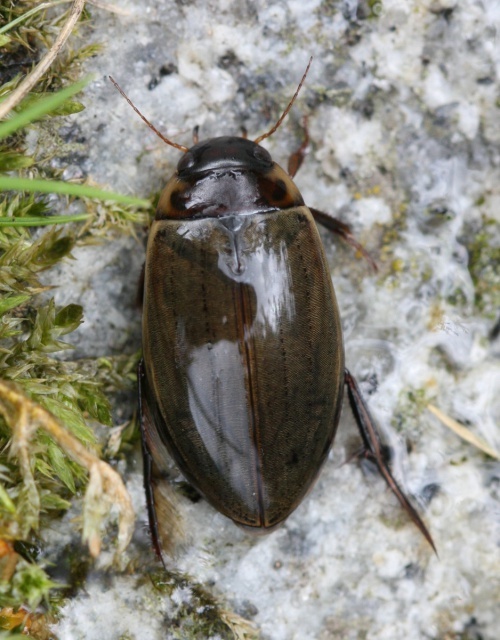 Well vegetated lakes and ponds. Fairly common in Leicestershire and Rutland. There were a total of 132 VC55 records for this species up to March 2015.